Come hear why Tech’s music program has been recognized TWICE by the Grammy Foundation for excellence in music education! Join us on Thursday, Dec. 6, at 6:30 PM in the auditorium and listen as our Bulldogs wow you with their talent. 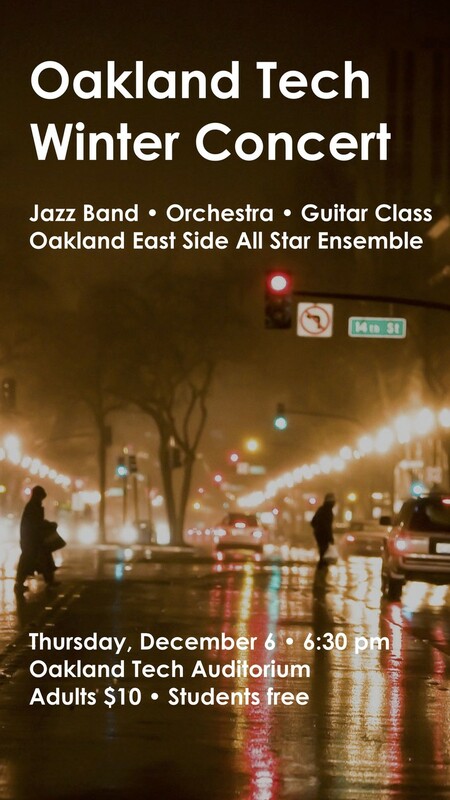 The performance features Tech’s Orchestra, Jazz Band, Guitar Class and the Oakland East Side All Star Ensemble. Suggested donation $10 for adults. Students are free. Hope to see you there!